Falls are one of the top causes of work-related injuries in all jobs, across all industries. But where the construction industry is concerned, falls are especially vexing, with the potential to result in serious injury and even death. 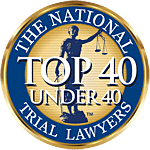 Associates and Bruce L. Scheiner, Attorneys for the Injured, know by reports by the Centers for Disease Control and Prevention (CDC), the Occupational Safety & Health Administration (OSHA) and our own 40 years of experience that falls are the No. 1 cause of death within the construction industry. Falls account for one-third of all on-the-job fatalities for workers. Every year, more than 200 construction workers are killed and more than 10,000 seriously injured in the U.S. as a result of a work-related fall. The figures have been higher than average in recent years. According to the Census of Fatal and Occupational Injuries, between 2011 and 2013, there were 846 fall-related fatalities in the U.S. construction industry, rising from 262 in 2011 to 290 the following year and 294 in 2013. A self-employed handyman fell from an 8-foot stepladder while performing roof repairs on a residential home. As he fell, he struck his head on the front walkway and died. Employee doing stucco work form a 15-foot scaffold fell off the scaffold and later died of his injuries. An employee was killed working on construction of a commercial building when he fell 30 feet. He was not wearing fall protection. A masonry worker fell seven stories to his death while attempting to straighten rebar along an opening in a concrete wall. His safety lanyard either ripped or tore. A roofing employee repairing a section of commercial roofing fell through a commercial skylight panel. Although the roof was just 12 feet above ground level, the impact was enough to prove fatal. A drywall company employee fell 20 feet off a ladder while applying caulk inside a warehouse. He later died of his injuries, and the ladder was found to have defective footing. These are just a few examples. They prove the fall doesn’t necessarily have to be one from a great height to be injurious or even deadly. Such cases also reveal how adhering to basic safety practice can make a huge difference in the prevention or seriousness of a fall. Contractors and workers planning together before each job on how to work safely at heights. Contractors providing the right equipment for work at heights – and workers following through and using that equipment. Contractors and workers both being trained on how to use fall prevention equipment and how to work safely. Of course, prevention is always preferable. In order to achieve this, it’s necessary to identify the most common hazards associated with fall-related injuries. In each case, employers have the ability to address these issues and ensure worker safety. With regard to unprotected sides, wall openings and floor holes, supervisors need to cover or guard floor holes as soon as they are created during new construction. When working on existing structures, contractors should first survey the site for such dangers and then continually monitor it for new issues. All floor hole covers have to be made so they will support two times the weight of workers, equipment and material that may be on it at any given time. Guardrails and safety net systems can also prevent serious injury, as can adequate personal fall arrest gear. As it pertains to improper scaffolding construction, supervisors are advised to construct all scaffolds to the exact specifications of the manufacturer. On scaffolds of 10 feet or higher, there should be either a guardrail system or a personal safety harness. For unguarded, protruding steel rebars, the risk is impalement. That’s why all of these ends should be guarded with wooden troughs or rebar caps. Alternatively, the ends should be bent so they aren’t upright. Workers toiling at heights above exposed rebar should exercise all relevant fall precautions. Finally for portable ladders, each ladder should be inspected for broken, cracked or missing parts before each use. Ladders should never be used in a manner for which they weren’t designed or for more weight than manufactured to hold. Unfortunately, even when companies are negligent in failing to protect workers from foreseeable risks and fall hazards, employees may be limited in their legal options. Workers’ compensation provides immunity to employers who provide insurance coverage to designated workers. The idea is that workers receive easy access to coverage of medical bills and wage stipend while they recover (or death benefits to the family in the event of a fatality). But these benefits are often not enough to cover the full extent of costs workers have incurred. That’s why it’s so important for your legal team to explore your legal options. In Florida construction fall accidents, we may analyze the liability of the property owner, the design professionals (engineers, architects, etc.) and manufacturers of failed equipment or products (ladders, scaffolds, safety harnesses, etc.). Injured construction workers who collect workers’ compensation are not barred from also pursuing third-party litigation. Because fall-related injuries have the potential to be so devastating, it’s imperative that injured workers and their families contact injury lawyers with extensive, proven experience. We ensure all viable options for compensation are pursued.